Looking for PGT® Eze-Breeze® Screen Enclosure Systems? Welcome to Archer Lion, Inc.
As a material supplier to Contractors for over 20 years, we are happy to recommend our favorite product and places. 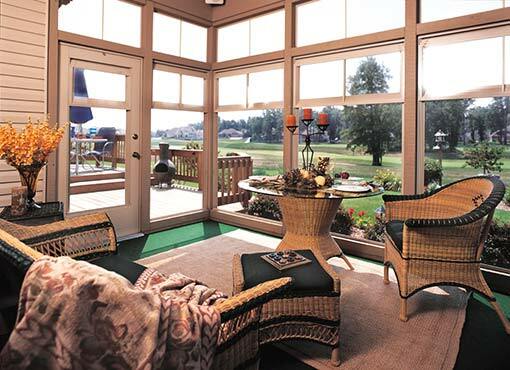 PGT® Eze-Breeze® Sliding Panels are the ultimate product for creating 3 season deck, porch and patio enclosures. Available as Vertical 4-tracks, Hinged entry doors, Side Sliders, Fixed and Trapezoids – there is a product for all screen enclosures of your room. You can learn more about Eze-Breeze®. 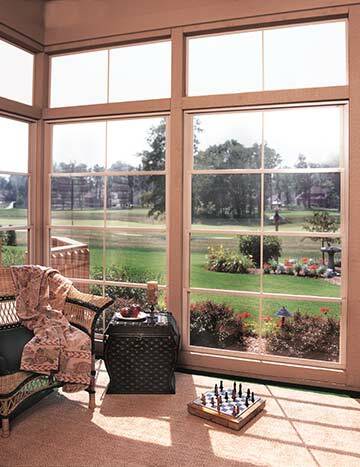 To get a quote, order, or learn more about this great product, please visit our preferred website 3seasonwindows.com. This site offers the full product line – so more sizes and options than any other. The staff there is also very knowledgeable and will help you get the right product for your project. We also know that over time, many people may need a replacement part for their EZE-Breeze® Vertical 4-tracks. We also direct you to EzeBreezeParts.com. Over the years, we have supplied Alside and Plygem windows and Crane vinyl Siding. We are no longer carrying or supporting those manufacturers. PGT® Eze-Breeze® Sliding panels are incredible screen enclosure systems. Most products come with screen included. There is no glass in the product. A 10mil thick memory vinyl provides long lasting clear views without the weight and structural limitations of glass. 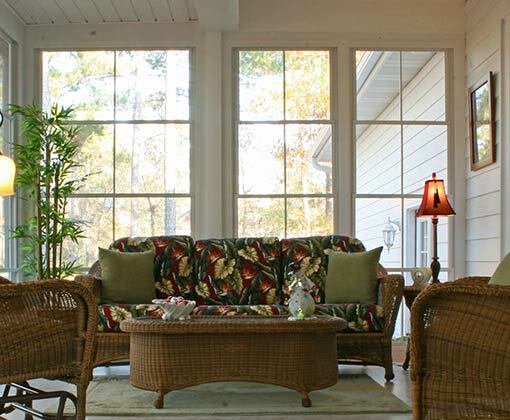 This makes it perfect for floor to ceiling applications to give you full enjoyment of the outdoors. The most well-known product is the Vertical 4-track System that allows for 75% clear opening to screen when ordered with 4 sliding vents. This product is available in both Outside or Inside mount configurations. The Inside mount allows you to use it with existing screen. The matching Entry door is a heavy duty aluminum frame door with the same Vertical 4-track unit installed in it. The door is 2” thick to accommodate the 4-track. It is available as both an Outswing or an Inswing. However, it always attaches with the flange on the exterior. Side Slider units are available in many variations. The Side Slider units are used when your openings are much wider than they are tall. They are available in 2 track 2 vent units up to 96” wide. Above that, the product is available as a 4-track system with many variations on the number of sliding vinyl vents and screen vents. There are 3 aluminum frame colors: white, tan and bronze. The memory vinyl is available in clear, and three tints: smoke (light gray), dark gray and dark bronze.